Cervical Collar is one of the highly demanded and effective products offered by Flamingo, which is a trusted name of the market. 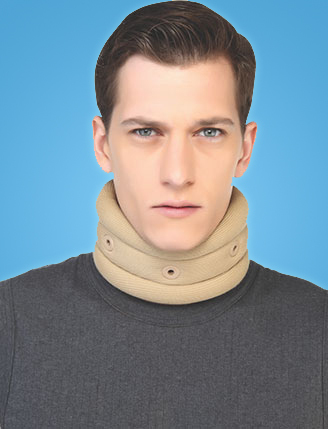 This cervical collar is very unique in its design as it has air vents which allow air flow; this avoids irritation and provides comfort. You can be tension free from jerks and vibrations because it provides gentle support to the neck and has a soft collar. It has great flexibility allowing you to relax while doing the things you love. It is ideal to be used for sprains, strains and whiplash. Moreover, Flamingo Cervical Collar provides soft to rigid support to limit movement or help prevent harmful neck motions. Flamingo has made available this collar in XS, S, M, L, XL and XXL sizes in order to meet the variegated market demand perfectly.